So how do you stay organized at work? Well, that’s way more complicated than one post, so I’m going to lay out the basics. I believe that there are three main areas that must stay “clean” in a work space. Some people have different work spaces than others. I’m going to talk from the experience of my workspace but you might have to adapt the ideas to your own. When I say “clean” I mean that at the end of every day, these three areas are cleared, double checked, and ready for the next day. These areas are your desk, your to-do list and your inbox. Today, we’ll tackle your desk. (Now, I’m going to just stop here and say that if you’re one of those people who want to quote one of those articles about how messy offices or spaces breed creativity and different people work different way that’s perfectly fine with me. I will respectfully disagree with you and continue not to comprehend how anyone can function with piles and piles of stuff on their desk. Not my thing, never will be. It makes my eye twitch.) Let’s carry on, shall we? 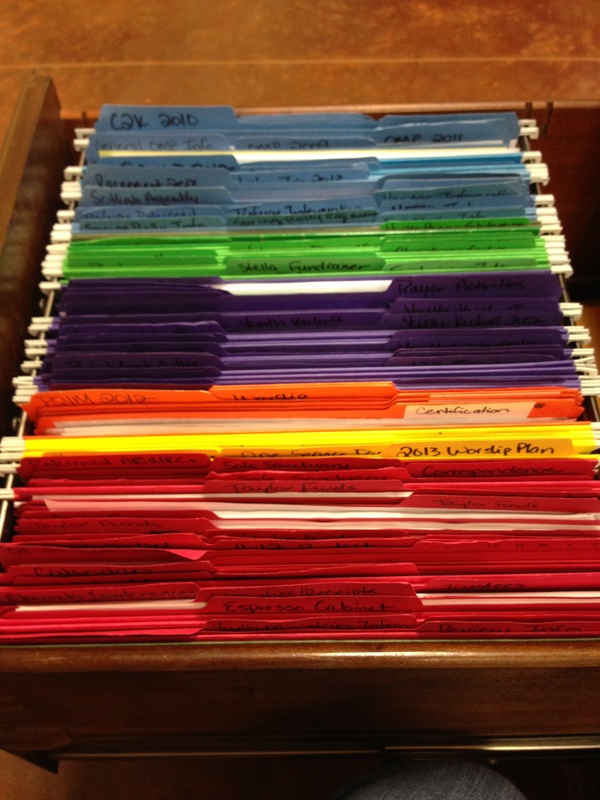 Before you get started you’ll need some file folders (I like different colors so I can categorize within my drawers), some drawer organizers for office supplies, and a file organizer for the top of your desk. Once everything is out of the desk, clean it really well…I mean when are you really going to have your desk that empty again? Congrats! You cleaned your desk! You should go through anything left on your desk and find its place either in a desk drawer, in someone else’s office, a file folder, etc. ← Shower Them with Lov…Practical!